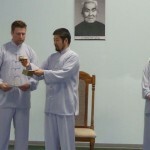 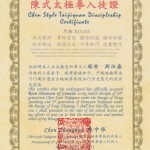 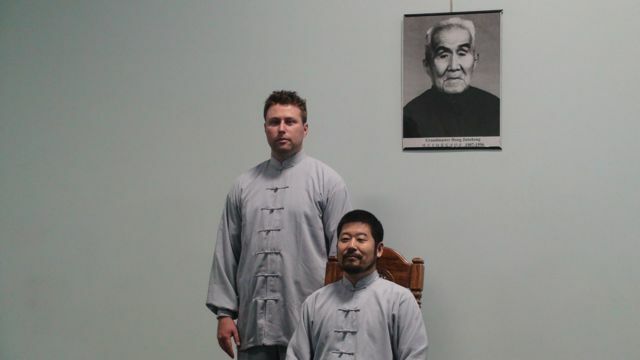 In a simple ceremony in the evening of April 20, 2011 in the Hunyuantaiji Academy in Edmonton, Alberta, Canada, Master Chen Zhonghua inducted Rion Swanson of Edmonton to the Chen Style Taijiquan Practical Method lineage. 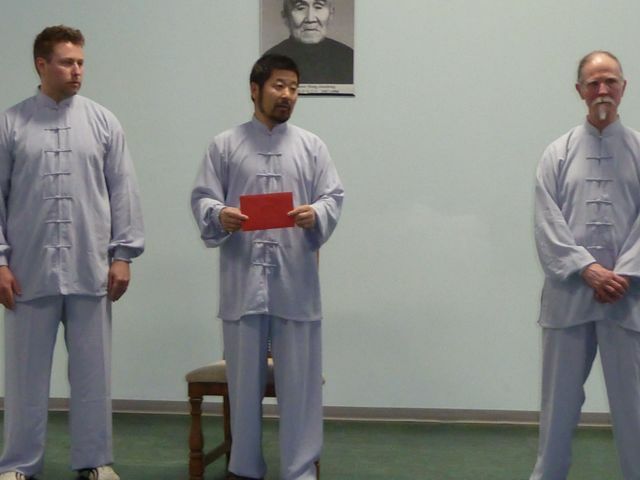 The ceremony was officiated by Chen’s earlier disciple Allan Belsheim. 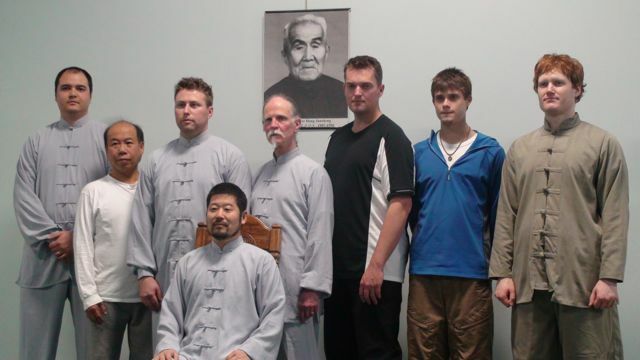 Belsheim is also the head instructor of the Edmonton branch. 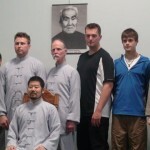 Rion Swanson originally came from Kamloops, British Columbia. 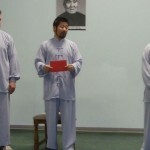 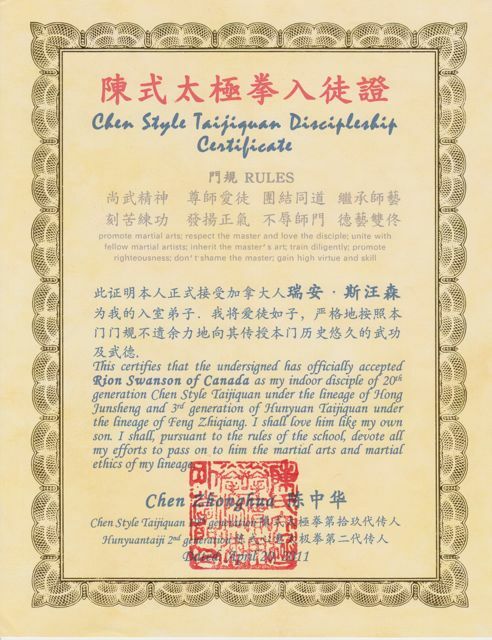 He has studied Chen Style Taijiquan Practical Method from Master Chen Zhonghua for over 5 years. 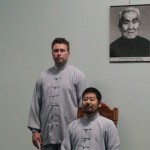 In 2008, he went to the Daqingshan Mountain Training Center to study for a month. 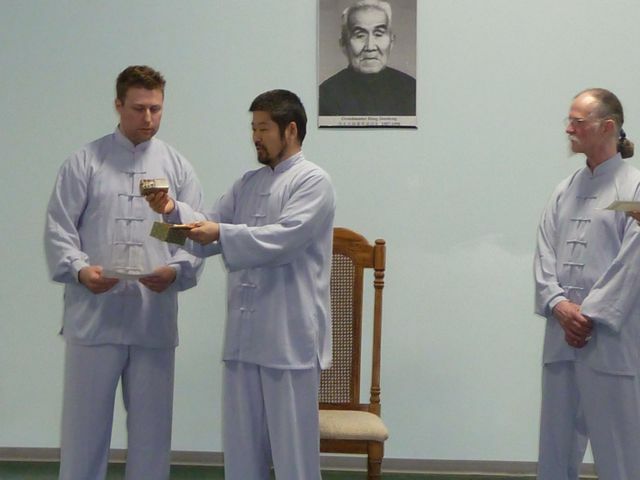 An artist Rion is interested in helping keep the taiji tradition alive through his discipleship.Also in attendance at the ceremony were some local disciples of Master Chen Zhonghua: Yen Gee, Scott Hess, Scot Jorgensen, Kham Serk Yawnghwe and Clinton Jurke. 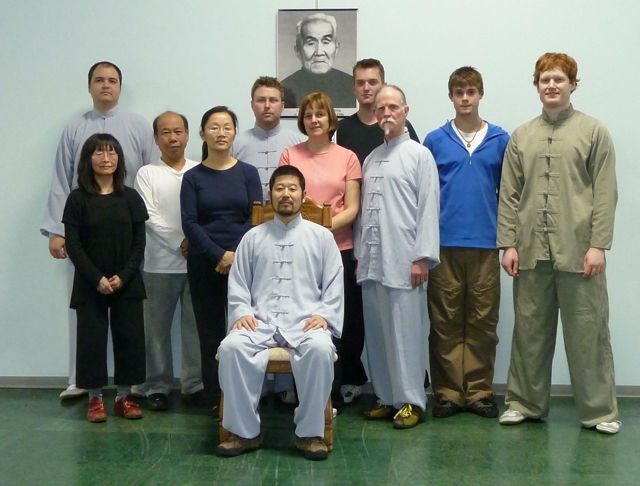 Clinton lives in Llyodminster, Alberta.